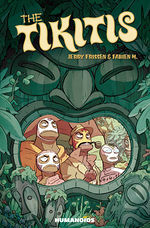 A group of retired Lucha Libre masked heroes hope for well-deserved peace and quiet on a small Polynesian island. Unbeknownst to them, their greatest adventures have yet to come! 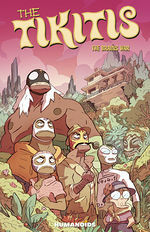 Philoloco, Doctor Sumo, Polynome Z and Cerebrex are four retired Luchadores known as "The Tikitis." They thought life would be easy living on a "savage island." Boy, were they wrong! 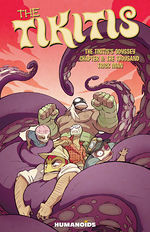 Amidst dealing with growing old, the foursome accidentally find themselves in the most wild of habitats, where world-threatening evildoers regularly create turmoil. 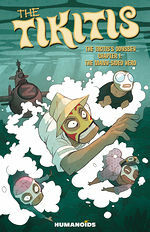 It’s hard to call retired life on a tropical island "paradise" when you have to deal with Voodoo zombies, brain-swapping mad scientists, a cyclops and, worst of all, a visit from Philoloco’s overbearing mother!